Chelsea is an ambitious and skilled wheelman who has excelled in several forms of road racing, stunt driving, and has had success in drifting across the globe, making him an obvious choice as a second team driver. Paired with the fact that Chelsea is an authentic, influential, and respected voice in the sport, the partnership was only natural for RTR Motorsports as it looks to expand with the 28-year-old veteran. To see more of Vaughn and Chelsea in their Ford Mustang RTR Spec 5-Ds, be sure to catch them as they make their 2017 RTR Motorsports racing debut during the first round of the Formula Drift series in the Streets of Long Beach event on April 1st. Make sure to use the following hashtags: #BroStangs and #TeamRTR to follow both drivers during the season. The street legal version of the RTR Spec 5-D, the Mustang RTR Spec 1 and Spec 2, are available now at select Ford Dealers and MustangRTR.com offering modern aggressive styling, track-proven suspension, and 50-state legal performance enhancements for the Ford Mustang. ABOUT RTR MOTORSPORTS: RTR Motorsports is the motorsport division of the Mustang RTR lifestyle brand. RTR Motorsports engineers and develops competition vehicles for professional motorsports all over the world in a variety of different racing series. RTR Motorsports builds, campaigns, and is the official race team for the Monster Energy Nitto Tire Ford Mustang RTR Spec 5-D driven by Vaughn Gittin Jr. and BC Racing Coilovers Nitto Tire Ford Mustang RTR Spec 5-D driven by Chelsea DeNofa. 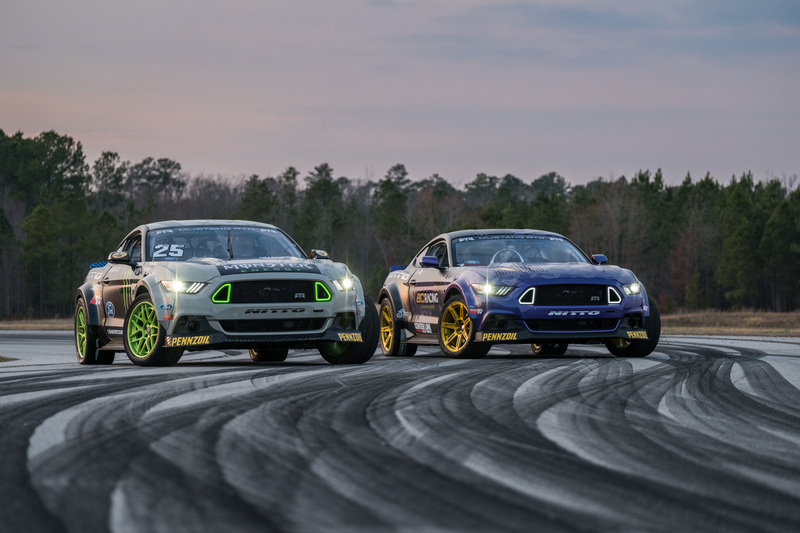 RTR Motorsports was founded and is owned by World Champion Vaughn Gittin Jr.
Posted in Behind The Scenes, FD News, Press Releases | Tagged chelsea denofa, Ford Mustang, Ford Racing, Nitto Tires, Vaughn Gittin Jr.
Next Next post: RTR Motorsports’ Teammates Share Everything!